To travel is to learn about people from around the globe. You learn what makes them tick, what makes them happy or uncomfortable, what makes them laugh or cry, what makes then go “ohhh” and “awwhhh”. Learning such things is vital to understanding the people we share this little blue ball with and that understanding makes us all more aware of the innate desire for peace within people. 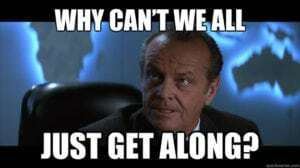 In the end, we all just want to get along! 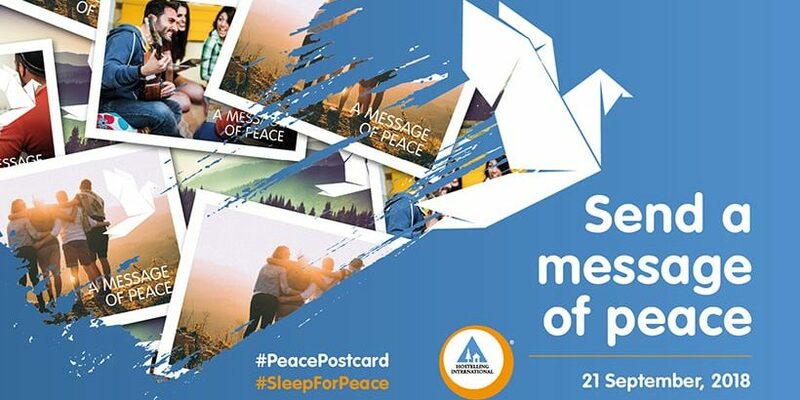 Sleep for Peace is a worldwide initiative of Hostelling International which celebrates the contribution hostelling makes toward international understanding and peace. Hostelling brings people together in dorm rooms, common rooms and open kitchens to build shared experiences and create friendships that span thousands of kilometres and countless years. Sleep for Peace started with HI-USA in 2013 and quickly became a global campaign. In 2017 alone over 270 hostels in 32 countries took part! 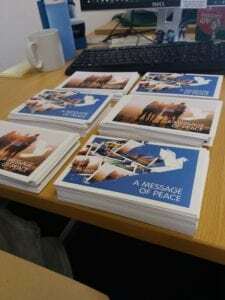 The postcards will then be collected and send directly to the UN! These postcards are also available online so everyone can take part! Every participating hostel puts their own spin on Sleep for Peace celebrations and An Óige is no different! 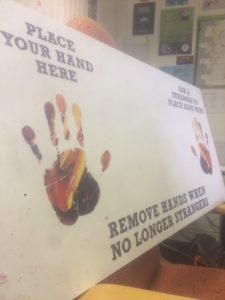 This year will see the return of our “Handboards” which help encourage you all to make friends in the common rooms. You can also donate directly to GOAL’s work here. 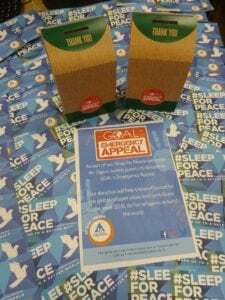 Sleep for Peace is one of An Óige’s favorite campaigns! One of the most exciting parts of the campaign is hearing about our guests fantastic experiences around Ireland and the world. While the post cards are designed to let the UN know how fantastic hostelling is, there is also a Global Peace survey. This survey is designed to showcase the the views of young people on peace and to make a powerful statement from a global community of travelers. So keep an eye on An Óige’s facebook, twitter and instagram for more information on Sleep for Peace! 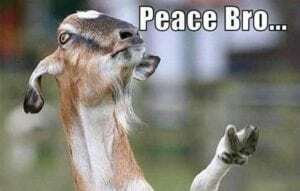 Be sure to get involved, either through the survey, postcards, donating to GOAL or just by being nice to someone, and hopefully we can spread a little more peace around the world! If you want to learn more about how An Óige contributes to global peace just subscribe to our monthly newsletter.